During the early years of BMX in Holland and Europe, many USA riders that came over and visited Holland, stayed at my house (Gerrit Does). Among them Perry Kramer, David Clinton, Scot Breithaupt, R.L. Osborn, Mike Buff, Nelson Channady, Byron Friday, Greg Esser, Jamie Burrows, Karinksi Bullard and also David Argaile and John Hutelin. This story concerns John Hutelin and tells us all about what happened with John after he returned to the USA ending summer of 1981. It’s very interesting to hear and see what has become of those former youngsters, BMX racers after their sports career. Here is Johns story, a very interesting and successful one. Some of you Old Skoolers will remember that John rode for SE-Racing at the time. Here is his story. After returning home from Europe the end of summer 1981, I was contacted about going to Japan for two months to help promote the movie ET that was being released. I traveled to Japan with Eddie Fiola a very successful freestyle rider. During our time together he taught me a lot about riding ¼ pipes and trick riding. We traveled from one end of the country to the other doing shows along the way. Upon returning home my dad introduced me to a new Aviation Mechanics school that was opening in January 1983. I enrolled and found that I was very interested in aviation and worked very hard at school. In May 1985 I received my Aviation Airframe and Powerplant license. From 1986 – 1989 I worked as an aircraft mechanic for Eastern Airlines and then Midway Airlines. Unfortunately both airlines ended up going out of business. But looking back, that was an event that changed my future, because it was then that I decided to become a pilot and fly airplanes. I trained as a B-707 Flight Engineer and received certification. 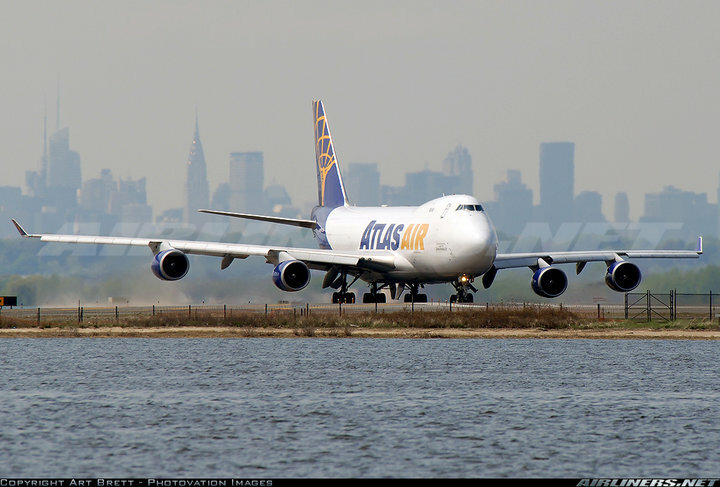 Then I worked for several airlines as a flight engineer flying freight. In 1993 I started working for ATA Airlines flying passengers as a Flight Engineer on the B-727. I was later promoted to F/E Training Instructor on the B-727. In 2001 ATA upgrade their fleet to B-737-800 aircraft. I was given a First Officer position on the new aircraft and completed training at Boeing’s training center in Seattle, Washington. In July 2005 I received an upgrade to Captain on the B-737. Currently I am still flying the B-737 based in Oakland, California, flying to Hawaii. I am still living in Ft. Lauderdale, Florida, but many other things in my life have changed. In 1989 I was married to my wonderful wife Jackie. We have two kids, Caitlin and Zachary. Caitlin is your typical teenager. She does very well in school and loves animals. She also enjoys cheerleading for the football and basketball teams at her school. About two years ago Zachary started asking a lot of questions about BMX. We found a local track was still open that I raced at back in the late 70’s – Corral Springs. Zachary got an MCS Tracer PRO and started racing. Funny how history repeats itself as the last bike I raced back in the day was an MCS. 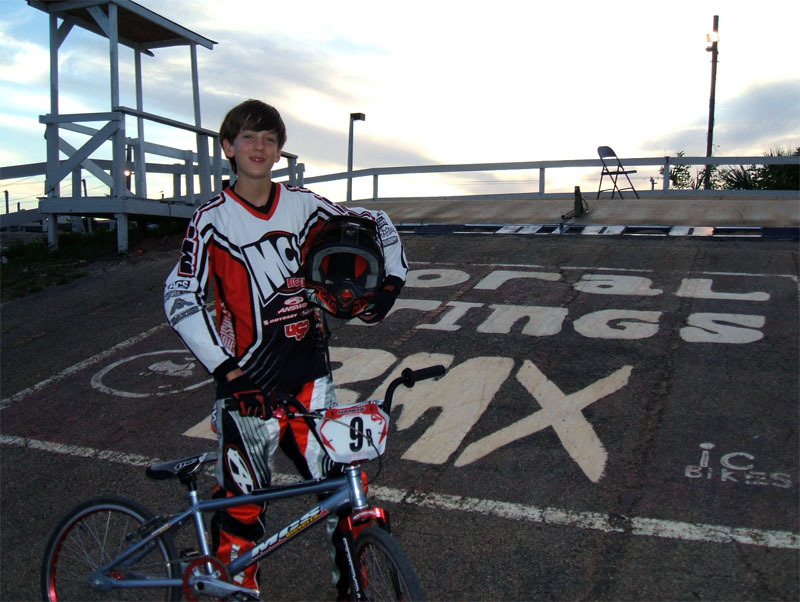 Caitlin checked out the BMX scene but found that she enjoyed mountain bikes and dirt bikes more. After watching Zachary race I realized I wanted to ride again. Next thing you know I was racing in the cruiser class. At the races I have been reacquainted with many old friends that I raced with as a kid. 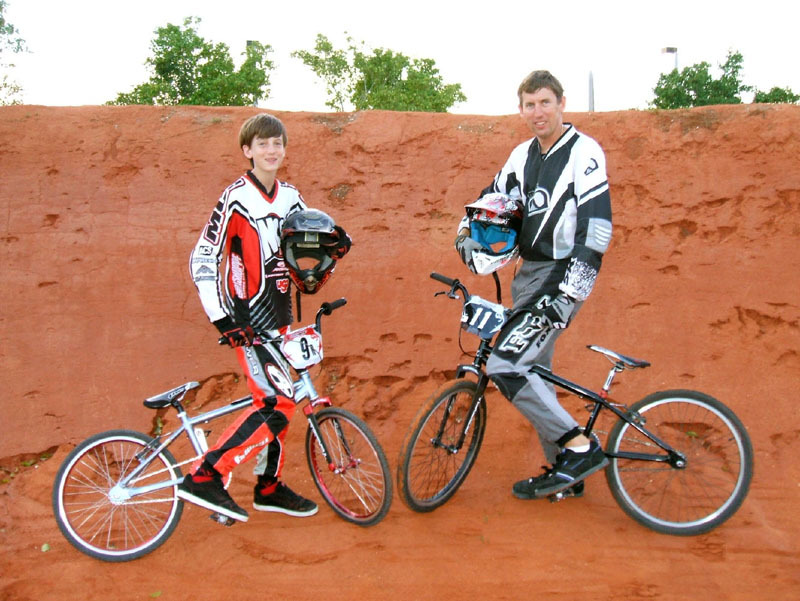 In 2007 the Sunshine State BMX Association presented to me the OLD SCHOOL AWARD stating: “ You made your mark on BMX when it started and now your heart is still here as you participate with family and friends”. As a family we would like to travel back to Europe and visit some of the wonderful places and friends I met along the way. And of course, Zachary and I are looking for BMX tracks as we plan to bring our bikes. Hope to see you then! Goals: Continue to train and ride hard, advance through the ranks, and find a team to sponsor me so I can travel and race more.